Most of the Imaging equipments in hospital, uses non ionizing Radiation for diagnostic imaging .These radiations are harmful for the human being and the government regulations prohibits unwanted radiation to people. 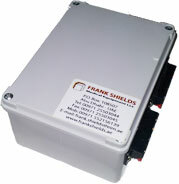 Frank Shields focus to reduce the harmful effect of radiation through protection and indications that can prevent accidental exposure to radiations. 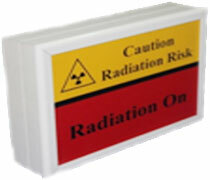 Our product RIM (Radiation Indication Module) installed outside the procedure room and interfaced with the generator can provide the visual indication of the Status of the equipment. It gives out audible indication and radiation indication display turning on whenever radiation is generated in the procedure room.